George and I just returned from a very relaxing 4 weeks in the Pfalz district of the Rhine Valley in Germany! We spent a wonderful time with Werner and Kerstin, former guests who have now become very good friends! 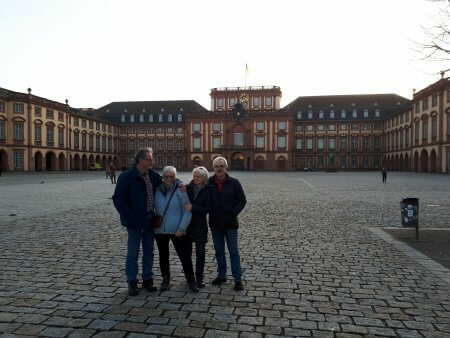 Thank you both for hosting us and showing us German Christmas Markets, castles, palaces, wine tasting in Germany and all the small villages around you! We never expected this side benefit of operating a Bed and Breakfast: new friends all over the world! Thank you again for a very special memory!